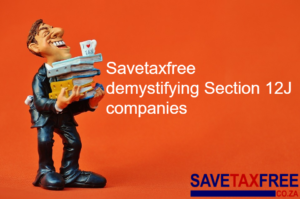 Savetaxfree.co.za has been developed by Intellidex, a financial research and media firm. It has been conceptualised by Stuart Theobald, a qualified financial analyst and award-winning journalist, who is a doctoral candidate in philosophy of finance at the London School of Economics. The Intellidex team is responsible for a wide range of successful projects, having launched Business Day Investors Monthly magazine and developing two industry-leading surveys, the Top Stockbrokers awards and the Top Private Banks and Wealth Managers survey. Intellidex also conducts the research for the Financial Mail’s Ranking the Analysts awards, and a variety of bespoke research projects for its financial services clients. Tax-free savings accounts are being launched on March 1 2015. Just about every investment house will be offering accounts so there will be significant demand for information on the accounts. Financial services providers can read about how to get involved here. This has been designed to be a first port of call for those planning to take advantage of the tax-free savings account. Simply click the ‘pick a broker’ button. The tool includes questions to determine your investment objectives, risk profile and other information pertinent to selecting the most suitable product for you. Once completed, the algorithm-based selection tool will select the financial products and institutions best suited to match your individual needs.